The Blackbird team consists of 9 software developers, whose greatest passion is to develop Smart Data Collection for manufacturing companies. Since the beginning of the Blackbird journey, the team has been added up with 5 Sales & Marketing employees, who give their best to support our Blackbird customers and business processes in general. With backgrounds ranging from software development to commercial and communicational experience, it is fair to say that the team bring a lot of knowledge and creativity to the table. You will find us doing our best with a cup of coffee in our hand, developing unique technology for our customers, while providing the best possible service and support. Mads was the first guy to join Finn, the founder of Blackbird, when Blackbird was still on the drawing-board. Apart from Mads’ outstanding software-development skills, he is also known by customers for his skillfull and engaging Blackbird trainings. 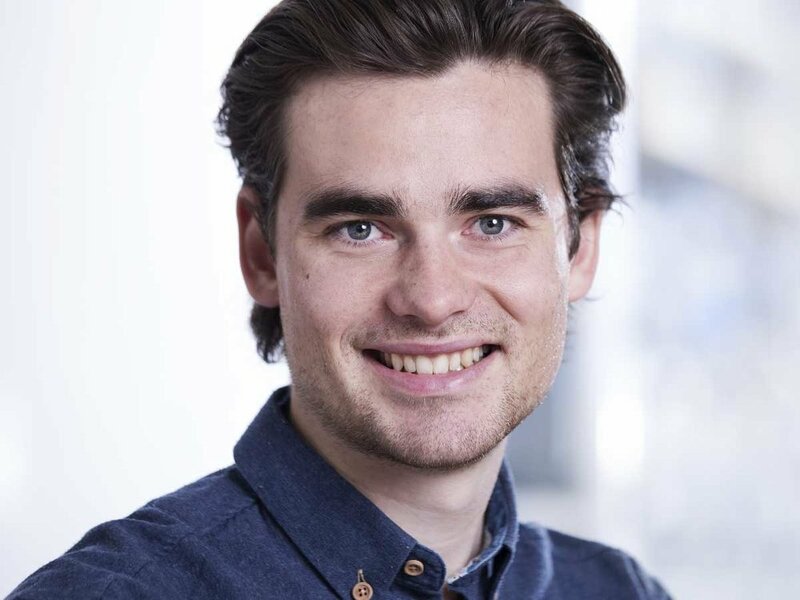 When Mads is not travelling to meet clients, he is working closely with the rest of the Blackbird-team to take the lead on developing new products and assuring that Blackbird runs smoothly. Christian comes fresh from school – and is one of our newest members to the team, as he works part time at Blackbird during his software studies at DTU. He likes to work with advanced technologies and have already contributed with a lot of new knowledge to the team. Christian is certainly a win for Blackbird, as he even meets in early on his office days and cleans up the space before he starts working. What a great guy! Martin’s office name is Jlow. He is one of the Blackbird team’s greatest backend engineers – and according to his title you will often find him in the back of the office from morning to late evening taking care of the backend developing. If you want to make Martin happy, you should serve him anything with the word Mexi in it – Mexi Burger, Mexi Salad, Mexi Burrito etc. Besides from his great work-enthusiasm, Jlow is also very enthusiastic about the regular Friday run, which the Blackbird and emendo colleagues share. He might actual be the most dedicated runner of all of us, and we suspect that it’s the Mexi food that works as the fuel on his engine! At the moment, Peter is working on a project for the emendo-group, but normally you would find him developing automated software together with the rest of the Blackbird team at our great office location in Nordhavn. Apart from Peter’s enthusiasm for Blackbird, he is also the best story-teller of all at lunch time and is rarely in a foul mood. We look forward to having Peter back. Mathias enjoys developing Blackbird products even in his spare time and it can be difficult to keep him out of the tool-shop where he “geeks out”. On top of this, he is also the master-mind behind a new upcoming, innovative Blackbird product. More information to come… Not least, Mathias loves cool gadgets and makes sure that the office is always top-tuned with the newest innovative products! Rune was also one of the first guys to join the Blackbird team. Rune is very patient and will do his best to assure that all your questions are answered. He is our nice guy at the office, and Rune will never give you a no if you ask him to help. Rune is otherwise working hard and patiently on new projects and solutions in Blackbird. Especially the Factbird View project has been driven by Rune in particular. Ferdinand is our all-round student assistant in the team, and he comes by the office one day per week to take care of the Blackbird stock and to make sure that everything is in order. 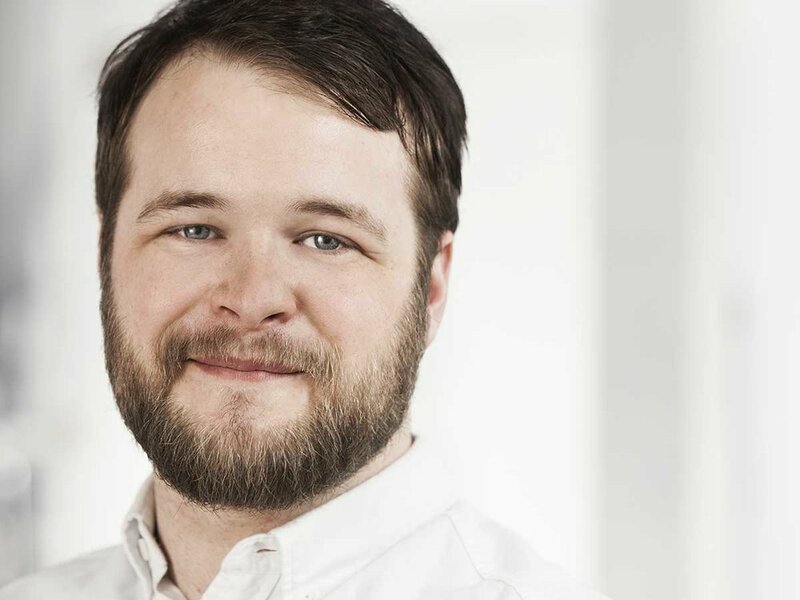 He is like our Danish, male version of Marie Kondo – a Japanese organizing consultant. Naoko is currently on maternity leave, but usually she takes care of every process from A to Z within Sales & Marketing. There is only little apart from developing the actual Blackbird system that Naoko has not been either taking the lead on or at least been a part of. For now, we love when she comes by the office with her little new born guy – who we expect to be one of the future software developers in Blackbird. Peter is our all-round technical guy. He takes care of every technical practicality you can phantom, while he visits customers and develops customized solutions for niches within the industry, where special conditions apply. Like Rune, he also never says no if you ask him for a kind favor and is never short of an answer on any technical question you may have. Christian is very multitalented and is the kind of guy, who has his hands into everything. He is responsible for many different Blackbird tasks and activities, and you will often find him in a Skype meeting or at customer sites - if not in front of his Mac computer. Christian lives very close to our office, why we each morning find him in full-speed on his electric skateboard! Emilie is supporting the communication processes in Blackbird while Naoko is on maternity leave. She usually works for the emendo-group, which Blackbird is part of. Mette joined us in the fall of 2018 and is covering processes mostly within sales. Together with our growing Marketing and Sales team, she is currently ramping up our activities for further growth. Jens is our newest member to the team, as he joined us the 1st of March. Jens leaves behind a similar position in IBM, and he has already proven how hard-working and dedicated he is to software development and Blackbird. We look forward to all of the great knowledge he will bring to the team. Finn is the founder of Blackbird and operates as the daily managing director himself. You will often find him at customer meetings, speaking on conferences or in the office, coaching the team to work in the right direction. Apart from being the founder of Blackbird, Finn is also the founder of emendo A/S. You can speak with Finn on all levels about production, High-level or Low-level. All in all, Finn’s passion for optimization was what spurred the idea of Blackbird. John is the Blackbird Ambassador in the United States and is working hard on keeping up with the leads coming in and building the foundation of BB in the North and South America. John is a top talented engineer and technology manager - and his significant strength is the level of operational manufacturing experience he has gained over the years, combined with his project management skills and a mind-set that is not afraid of any technical challenge. John loves his tool-shop where he can tune German sports cars, and you will never be in doubt that John is an engineer when you meet. Apart from his outstanding engineering skills, John is also known as a dedicated person and a colleague you can always count on to follow through. Older PostGetting your Manufacturing ready for Industry 4.0?